Cairo (Agenzia Fides) - In Egypt the process of "legalization" of Christian places of worship built in the past without the required permits, along with the granting of authorizations for the construction of new churches, continues at a rapid pace. The Egyptian Council of Ministers, chaired by Premier Mostafa Kamal Madbouly, approved last March 5 the report of the Committee for the regularization, restoration and construction of new churches, which formally attested the verification and the subsequent authorization to the legitimate use of 783 Christian places of worship subjected to ministerial controls. 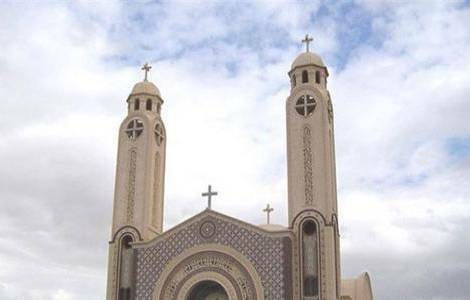 Government and ecclesiastical sources, relaunched by the Egyptian media, expect that at the end of 2020 the controls and the consequent ministerial authorizations will be completed for more than 700 Christian places of worship awaiting regularization. The churches submitted to the scrutiny of the ad hoc government commission are mainly those built before the new law on the construction of Christian buildings of worship came into force, approved by Parliament at the end of August 2016 (see Fides 31/8/2016). The work of the government commission, consists in verifying if thousands of churches and Christian places of prayer built in the past without the required authorizations meet the standards established by the new law. The verification is usually resolved in the "regularization" of places of worship, which are declared compliant with the parameters defined by the new legal provisions. In recent decades, many of the Christian places of worship had been built spontaneously, without all the necessary authorizations. Even today, such buildings continue from time to time to be used as a pretext by Islamist groups to foment sectarian violence against Christians.